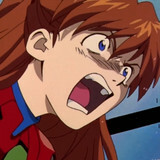 The new bath salts on offer at the Evangelion Store aim to provide LCL-themed relaxation without all the emotional and physical hardships Shinji and the rest of the pilots had to go through. Read on for more. 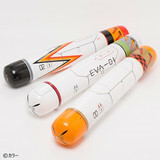 Bandai Namco Group's character toy company PLEX has started accepting pre-orders for three swimming floats inspired by Unit-00, Unit-01, and Unit-02's entry plugs from the Evangelion anime franchise on Bandai's official online store Premium Bandai and the anime franchise's official store Evangelion Store. See the details of the cool summer items after the jump! 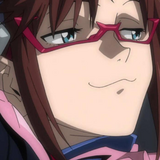 Back in November of last year, Netflix announced the worldwide license to stream Hideaki Anno's classic Neon Genesis Evangelion anime. At the time it was just set for a spring 2019 window, but earlier today Netflix kicked off a countdown to a premiere date reveal. Read on for more. 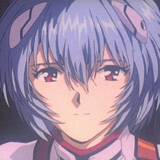 Fans have been waiting quite a while for the fourth Shin Evangelion anime film, AKA Evangelion 3.0+1.0, AKA Shin Evangelion Gekijō-ban :||. Studio Khara's feature opens in Japan sometime in 2020, and according to the official Twitter account, dialogue recording is officially underway. Read on for more. 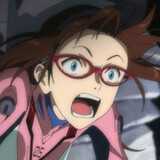 King Amusement Creative's official website posted a CD jacket illustration for 52-year-old singer Yoko Takahashi's upcoming mini album "EVANGELION EXTREME" to be released on May 22. The illustration is newly drawn by Yoshimichi Kameda, one of the animators who worked on Evangelion: 3.0 You Can (Not) Redo (2012). Hit the jump for more details. Nagoya-based company XING today announced the top 50 rankings for the most popular karaoke songs in the period from 1992 to 2019, mostly covering the Heisei period in Japan. 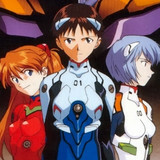 The most poplar song in the overall ranking was "Zankoku na Tenshi no Thesis/A Cruel Angel's Thesis," the OP theme for the TV anime Neon Genesis Evangelion. See more results after the jump. Nagoya-based company XING today announced the rankings for the karaoke songs of the year 2018, which were counted by its online karaoke service JOYSOUND. 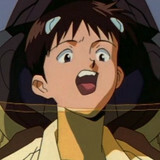 The most popular song in the anime/tokusatsu/game song category was "A Cruel Angel's Thesis," the OP theme for the 1995-1996 TV anime Neon Genesis Evangelion. Check out this year's top 10 list after the jump. 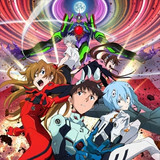 Anime Recap: Neon Genesis Evangelion on Netflix, Hatsune Miku Smart Car, & MORE! 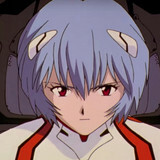 Netflix streaming Neon Genesis Evangelion worldwide in Spring 2019, live Sailor Moon concert coming to the USA, Miss Universe Japan transfarms into Sailor Moon, & MORE! Hit the jump for the highlights of the hottest news in anime!